Art Fair setup has begun. 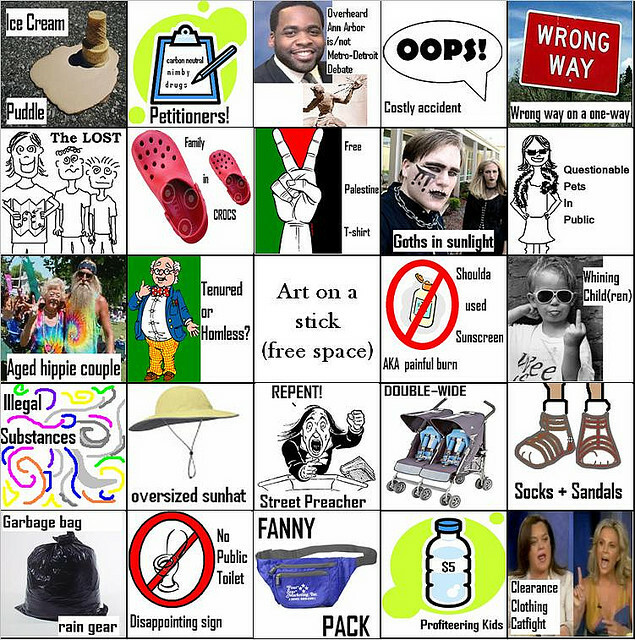 Are you ready gentle reader? 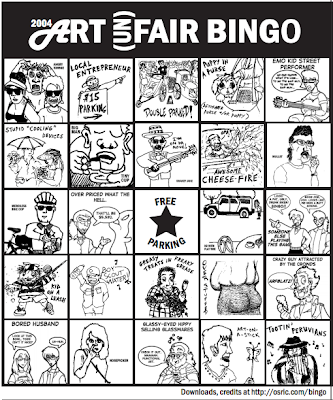 In case you are not, here are some Art Fair Bingo cards from years past. 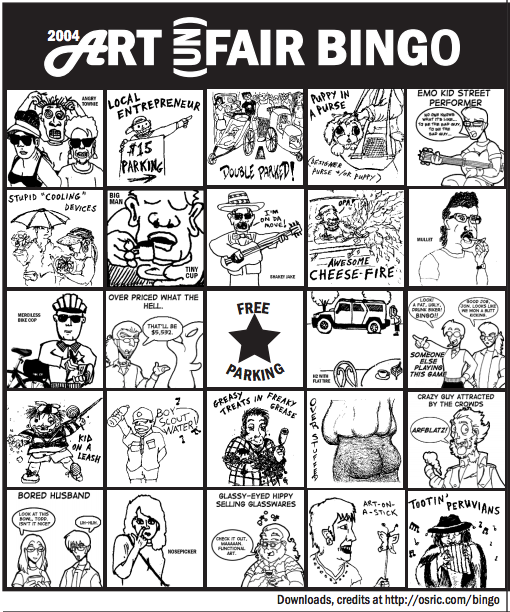 In case anyone wants to create an updated Art Fair Bingo for 2014, let me suggest http://osric.com/bingo-card-generator/. 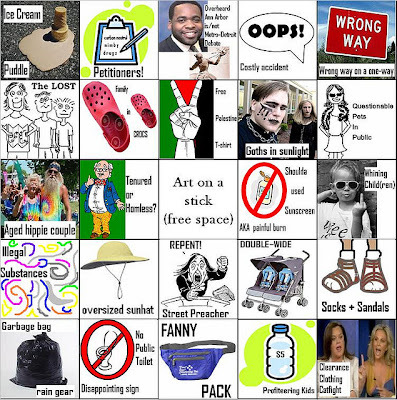 I'd love an updated Fair bingo card but I haven't visited the fairs in about four years so I don't know what's hot right now. 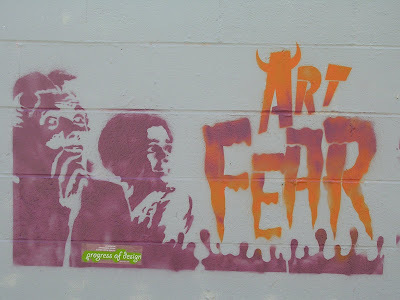 Art On A Stick will ALWAYS be there, though.